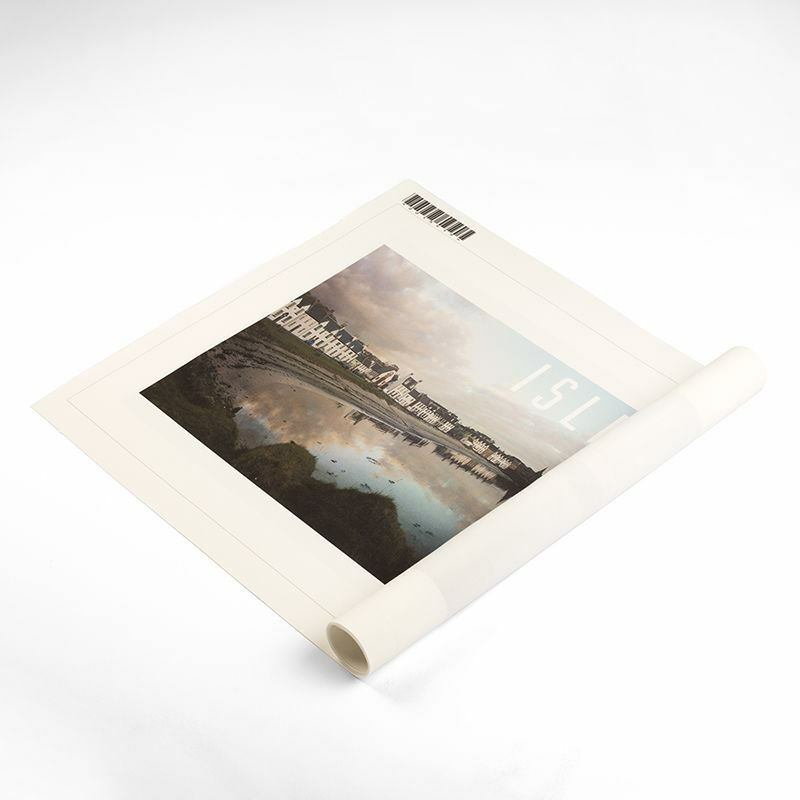 With the increasing demand for unframed canvas prints from our loyal customers, Bags of Love is now offering high quality rolled canvas prints. Great to mount yourself, or send to loved ones abroad. Simply upload your design or photo and order unframed canvas. Our excellent reproduction is of a high standard because unlike many other canvas print brands, we print on real woven canvas (heavy 300 or 380gsm stock). Put your prints onto unframed high quality canvas. We use dye sublimation printing techniques, which provides a deep and rich print. Ours will not crack so you can roll it, fold it and it will not scratch or peel off - guaranteed. Don't forget to leave some room around the image to prepare it for framing. As your pictures are provided with no frame, we add extra 4 cm extra white fabric for framing added around each edge of the ordered image dimensions. If you need more than that, be sure to add extra white space by increasing the dimensions as you require. Please be aware that during the printing process, the canvas fabric can shrink by around 2-6%, so when selecting your dimensions, please account for this shrinkage. I requested a map to be printed on canvas for my D&D game. I sent off a large high resolution image that was printed beautifully to 500gsm canvas. The print area was 45cm by 30cm and my only issue is that I didn't go bigger. The colour and print quality were perfect. I will no doubt be having more maps printed here. I bought numerous unframed canvas' and they were of superb quality and made to measure. Good quality print on canvas. Size as specified. Delivery quick and efficient. Good competitive price. Certainly would use this service again, very pleased. Your design is printed onto the woven canvas by our technicians. This is done using infusion technology which penetrates eco-friendly inks deep into the fibres of the fabric. The result is a full colour, high-definition print that is long lasting. Once your photos have been printed onto the fabric, our craftsmen cut the textile to the correct size and shape from small and square to large and rectangle. All of this is done exactly the same as it is for our framed canvas selection. The only difference is that once the canvas is ready, instead of building and a frame and stretching your print over it, we send it straight to quality control. They will make sure that everything is to the high standard that we expect before rolling your canvas and shipping it to you. Remember to allow for framing the canvas when you give us your dimensions. We print with 4 cm of extra fabric around the measurements that you provide us, so if you are likely to need any more than that then you will need to add this onto your photographs or design. We are expert canvas printers with years of experience taking your images from photos, and printing them onto a canvas without frame. You could even use this canvas to reveal a surprise, as we deliver this to you rolled up. Great for big announcements and little secrets. Custom printed beach towels with your print, picture or design on towelling. Personalise a custom beach towel.